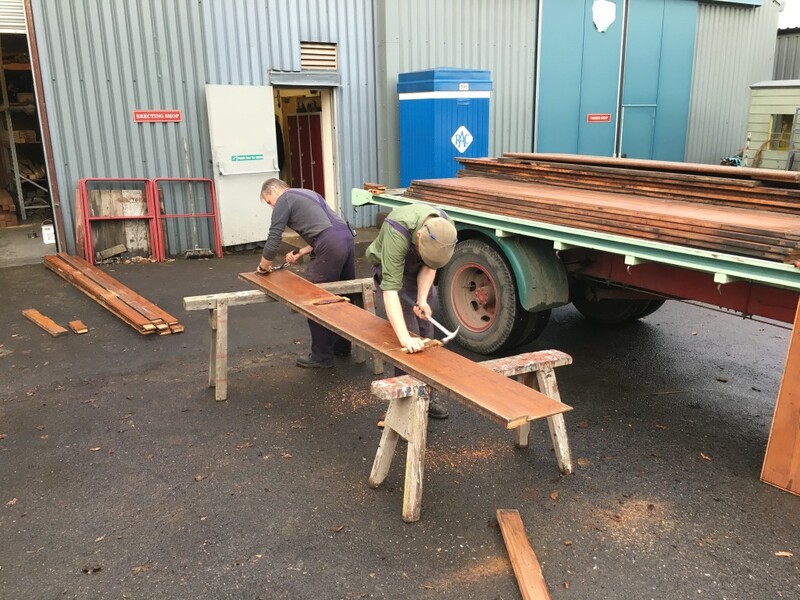 We are now on the run into Christmas, with the site busy with visitors and the workshops advancing various projects which, working week-wise, don’t have so much time now to complete them for the 2017 season, which in reality for us now starts with the February half-term – quite a challenge! 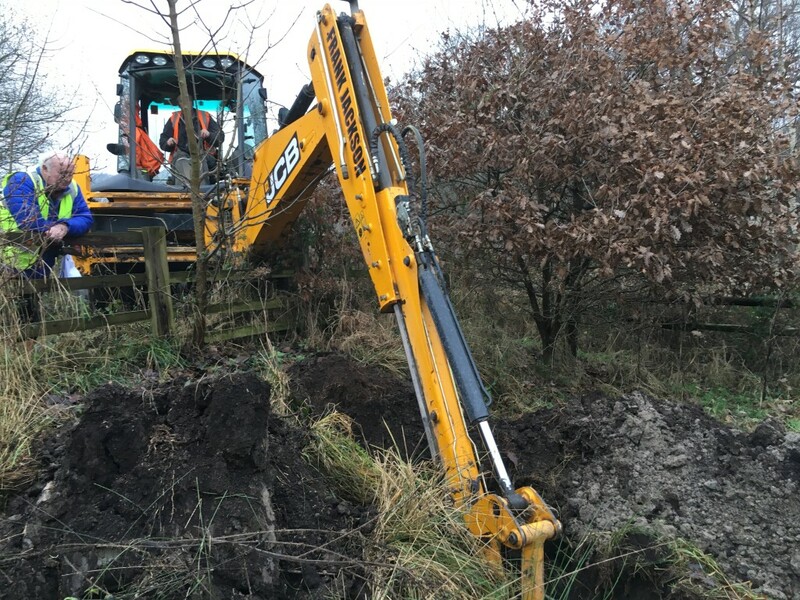 The survey work and preparation for the Remaking Beamish project is also underway, with the muddier outreaches of the site being probed and explored to ascertain the suitability of the ground conditions for construction work and associated construction traffic. We now have one of the best ideas we’ve ever had of the content of the site geologically and also the routing of existing services and sub-surface infrastructure, which will make maintenance more precise in these areas in the future. Below: The Cub tipper has moved into the RHEC as a more conducive environment for painting to progress in. 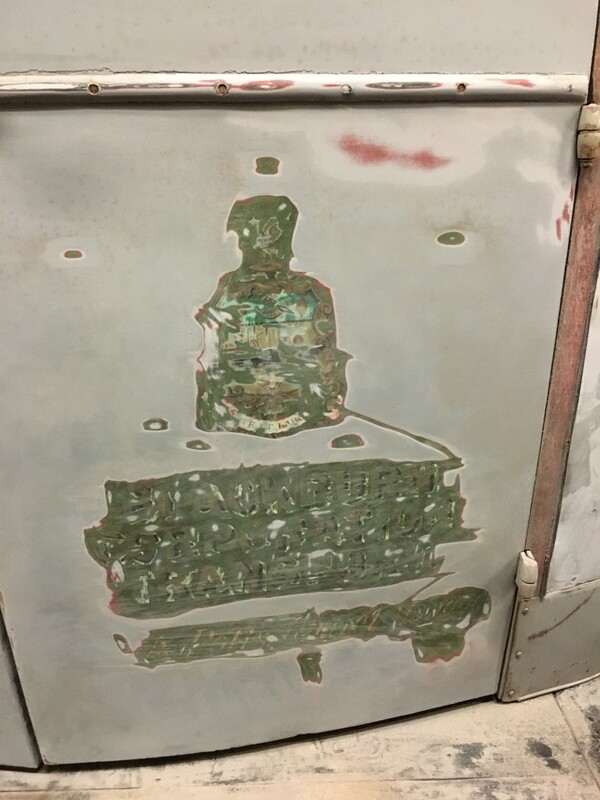 Below: The painters have rubbed back the door skin paintwork further, to reveal the full extent of the original lettering and crest (which we didn’t expect to find). This has been recorded to enable its reinstatement at a future repaint. Below: … to be followed by the longitudinal rails and a coat of protective black bitumen paint. The wood itself is treated as a further precaution against decay. Below: The panelling for the body is more recovered pitch pine from our stocks of recovered church pews. 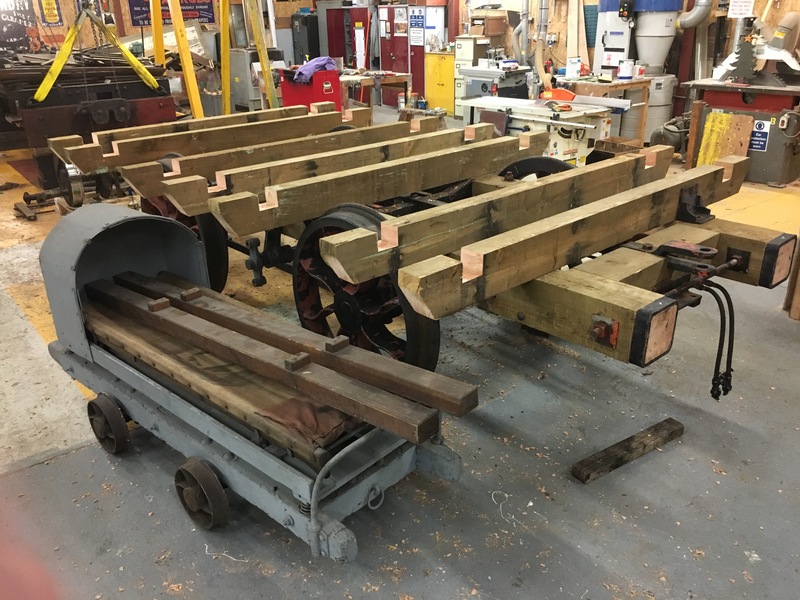 Here it is seen being dismantled – amazingly the panel lengths are the exact size needed for the coach, so no cutting that way needed. Below: Glyder, as with some other narrow gauge projects, has progressed quite well lately. 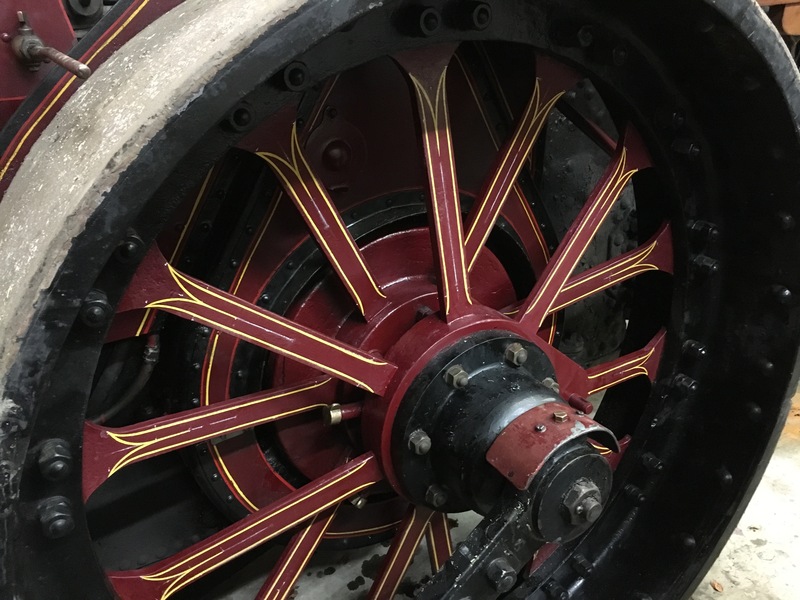 The wheelsets are now being added, though the water tanks are to have some of their sludge lid studs replaced and a water test carried out before the rolling frames return to the floor for the motion work to be refitted. 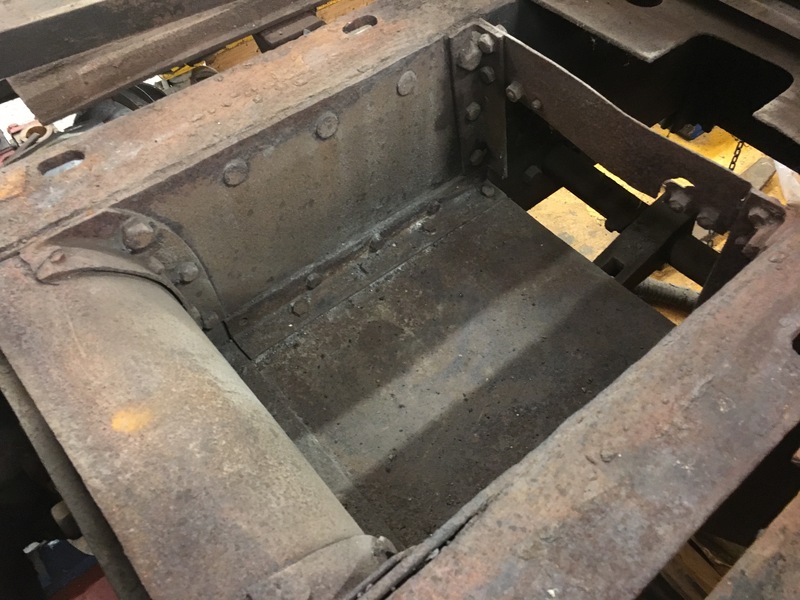 Below: This view of the ashpan shows the patina that is being retained, as well as the unusual design of it – the boiler being mounted so high on the frames and the firebox sitting on top of them. This means the ashpan is all but inaccessible on the assembled locomotive. 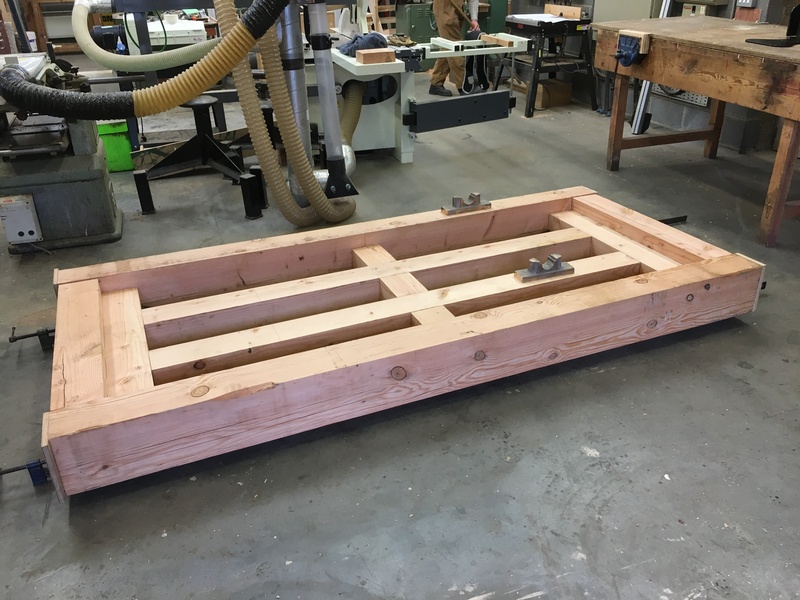 Below: A window of opportunity in the building team joinery has enabled a start to be made on the pile of parts gathered for the narrow gauge brake/tool van – something we’ve been hoping to start for some time. 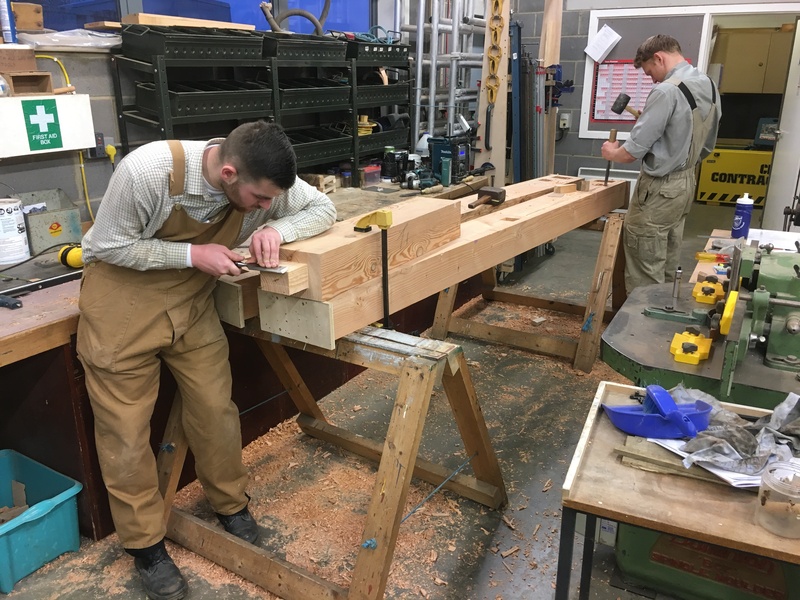 Shaun, Daniel and Ben (their apprentice) are seen working on the sections of timber (Douglas Fir) that form the chassis frame. 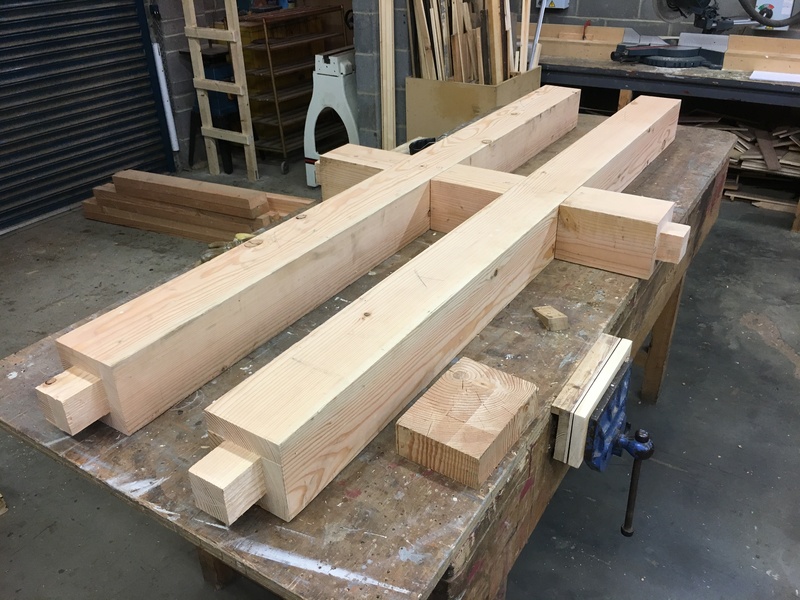 The body frame will follow, the planking being yet more recovered church pew pine. 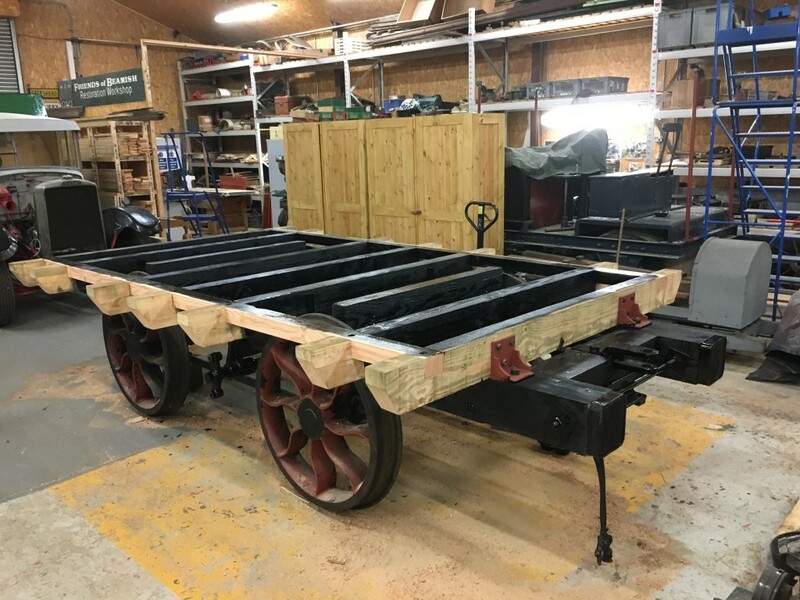 We also have the wheels, axles, parts for the brakegear and sundry other items in stock for this project, which will give us some covered wagon storage on the railway plus, given our gradients, additional and rather valuable braking capacity on the hills, especially useful when parking trains in certain areas during shunting moves etc. Below: The centre spine and spacers is seen on the bench. Below: A test-fit of the chassis, inverted. 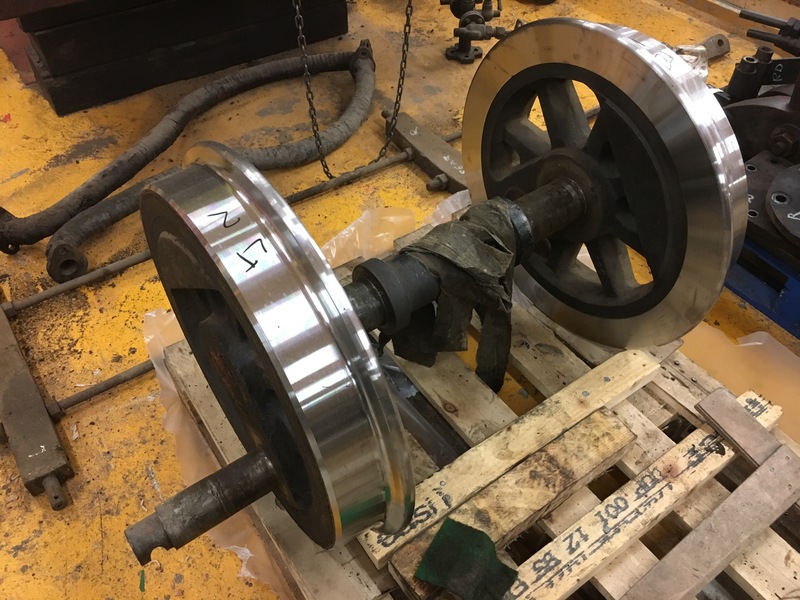 This was to enable wheelsets to be placed and locations for the tie-bars to be identified. These were completed and in place by Wednesday. Below: By the close of play on Friday the body framing was very well advanced – unbelievable progress since Monday! 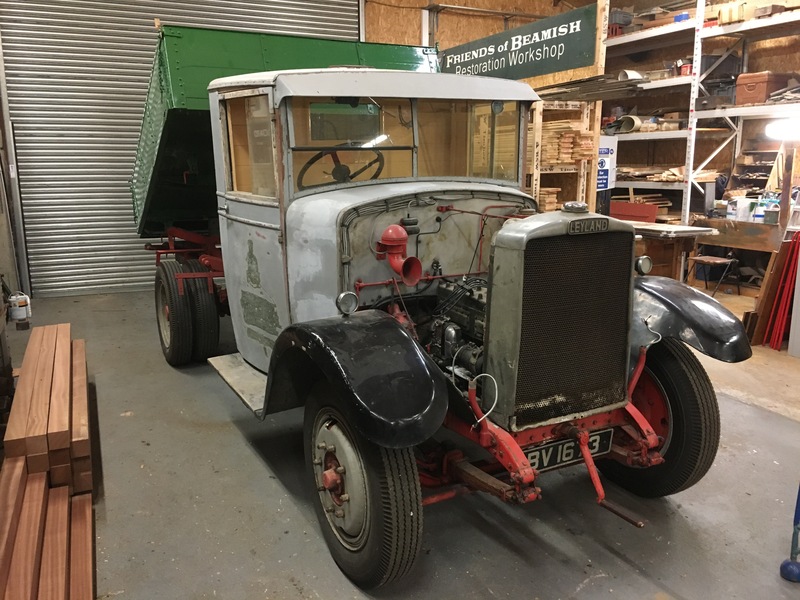 We have a volunteer working party (‘BINGE’) this weekend and no doubt thoughts will turn to this project and it jumping the queue of our projects to see it completed! 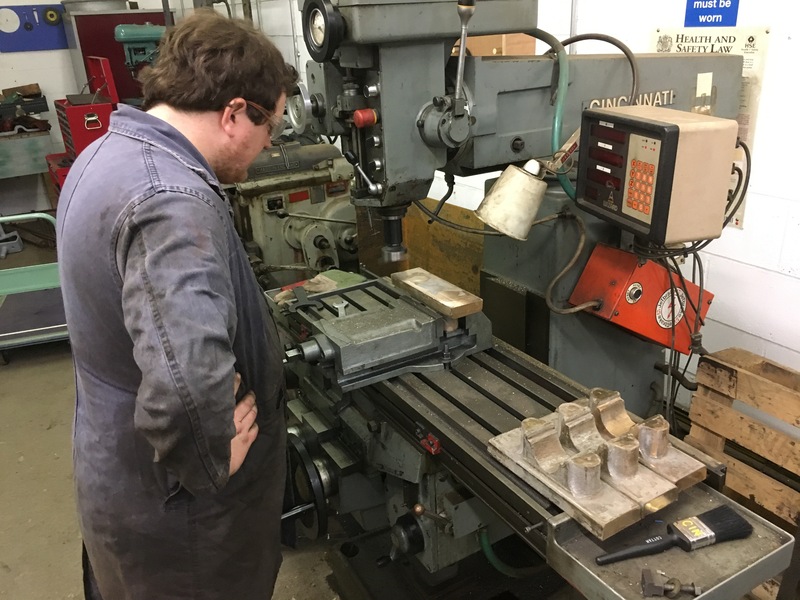 Below: Inspired by progress on the body, Matt made a start on the bearing pedestals for the van, machining the base and tops as the first job. 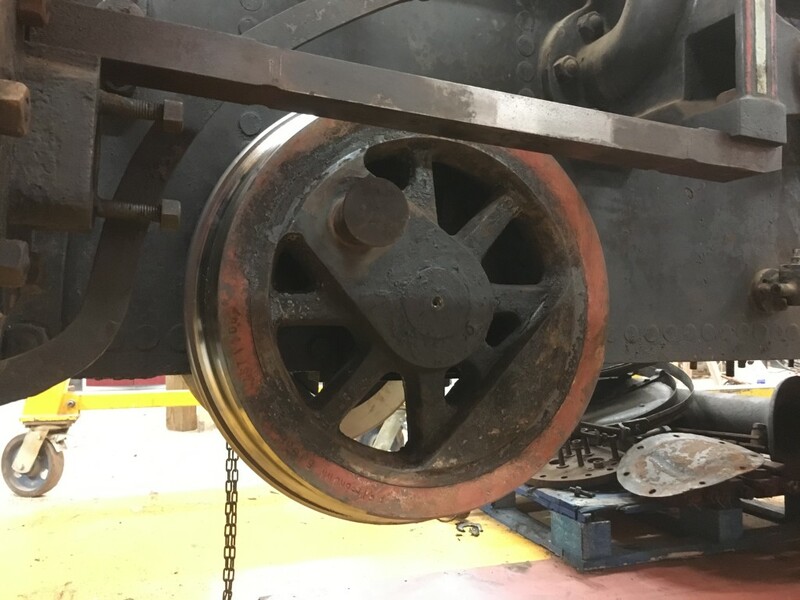 Again these are items we’ve had lying around for some time, similarly the wheelsets which are ex Broughton Moor and which will be regauged onto new axles shortly. 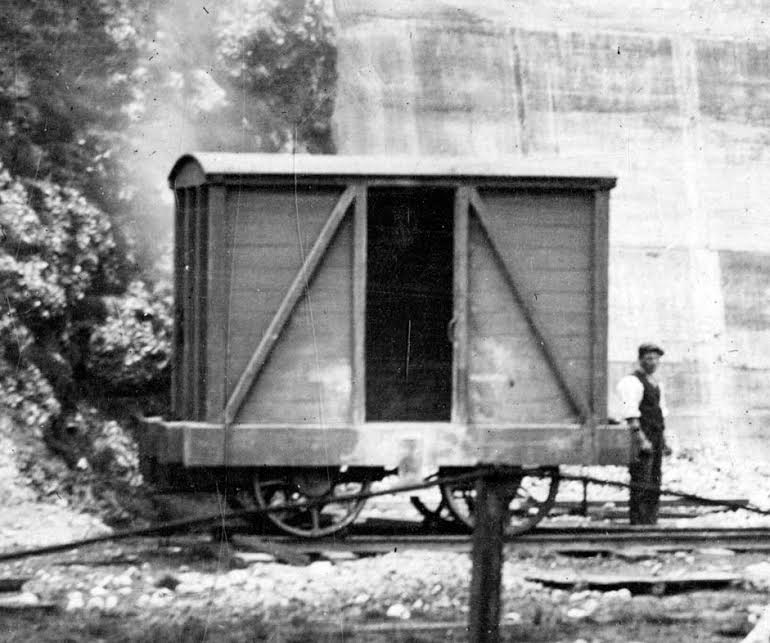 Below: A reminder of the waggon that inspired this design – seen at Seaham Harbour in use as a cement store. 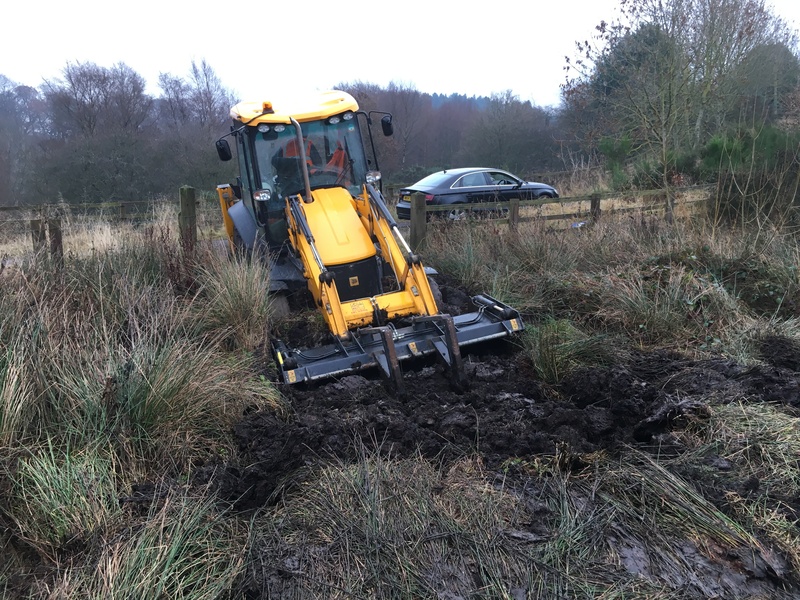 Below: Exploration of the site for ground condition survey can be challenging – the JCB seen here is walking and crawling out on its buckets, the mud to the east of the site being one of the challenges of the day! Below: 3m deep pits were dug in various locations (this one is the site of a new sewage plant) in order to determine the sub-base, which can be seen in this view to be heavy grey clay. 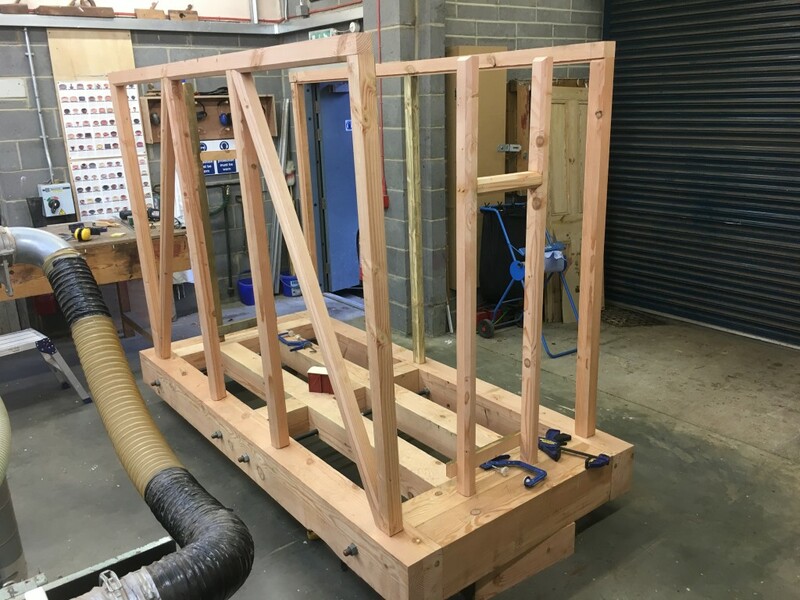 Such work enables the final design of what goes on top to be completed as well as enable a scope of works to be drawn up for tendering contract work or planning internal work in these areas. Not very glamorous but all very necessary! 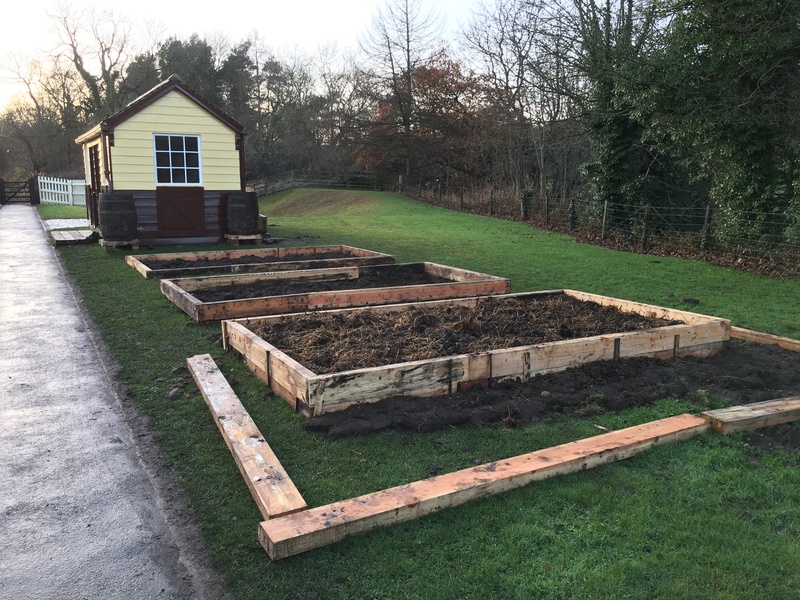 Below: The team at Rowley have started building the NER station allotments. This will be maintained in conjunction with some of the groups who volunteer at the Museum, and adds additional interest to the north of the station platform as well as, hopefully (! ), some interesting produce for visitors to sample. Below: I’ve not featured many photos of the Peckett in steam, so here is one of it warming up in readiness for operating tomorrow, as dusk begins to fall. 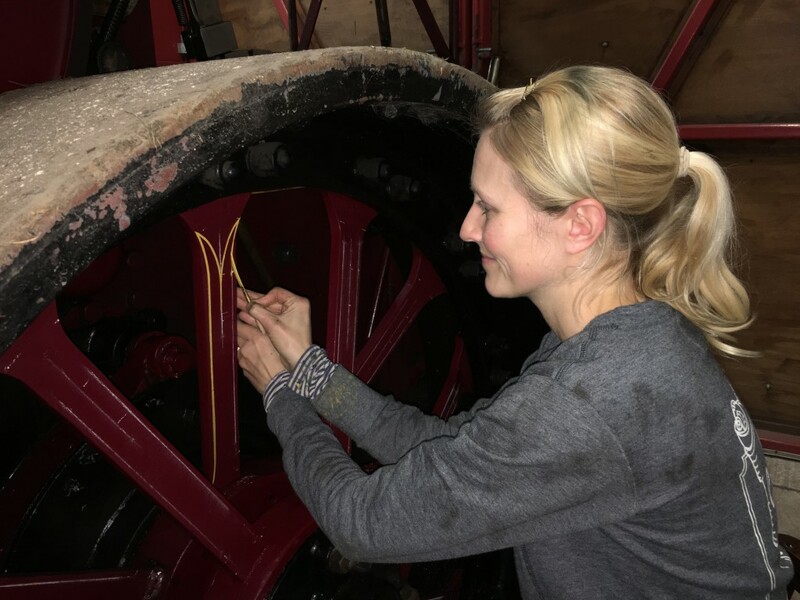 Below: Sarah Jarman is doing some voluntary signwriting work for us on our Fowler steam roller ‘Rambler” including adding the missing lining to the rolls and tidying up the numberplates and some other paintwork. The roller has temporarily moved to the RMS workshop (which is warm!) for this work to be completed. 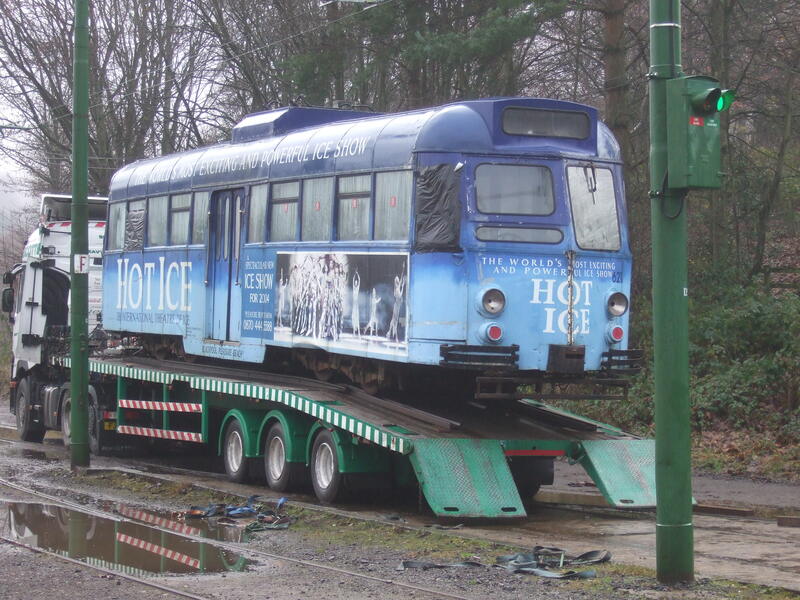 Below: Rather unexpectedly, a plan that has been in the making for some time came to fruition this morning when Scotts Haulage arrived to collect the Brush Railcar 621. We were initially anticipating this happening next February, but a quick run about by staff, then much telephoning to warn the recipients of this load, and it was loaded and headed west. 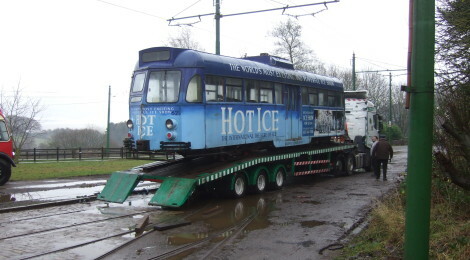 The tram is returning to Blackpool and to the ownership of Blackpool Heritage Trust, who run the heritage tram tours there, and plans for its future will be revealed in due course. It was a short sojourn with us but one which hopefully bought enough time for new plans to emerge. Our own plans are such that we really need to progress the heavy overhauls of Gateshead 10, in due course Sheffield 513, the restoration of Gateshead 52, plus commission Oporto 65, then we’ll be back to Newcastle 114 again. We will also have several buses/trolleybuses to factor into the process so it became very obvious that 621 wouldn’t receive any attention in the medum or even medium/long term. 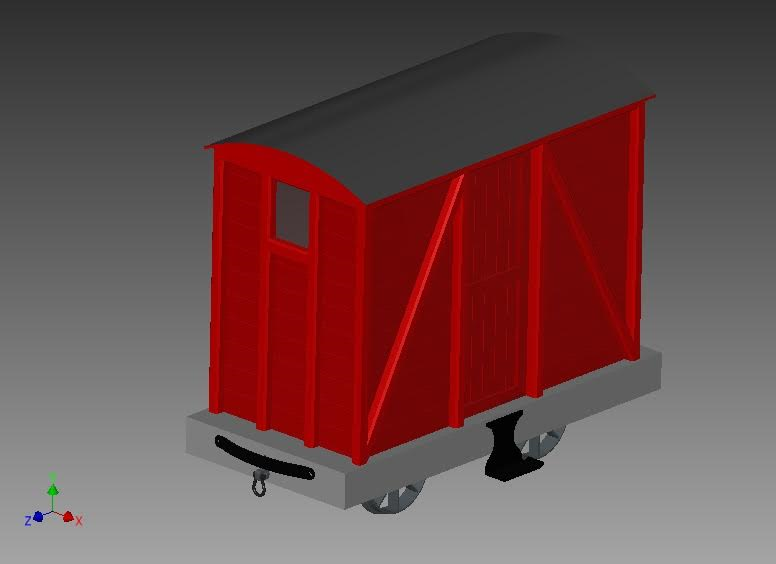 Our thoughts of using it for an access tram have been replaced by further developments on the bus front in this regard, and plans for Remaking Beamish also include ideas which support this objective. 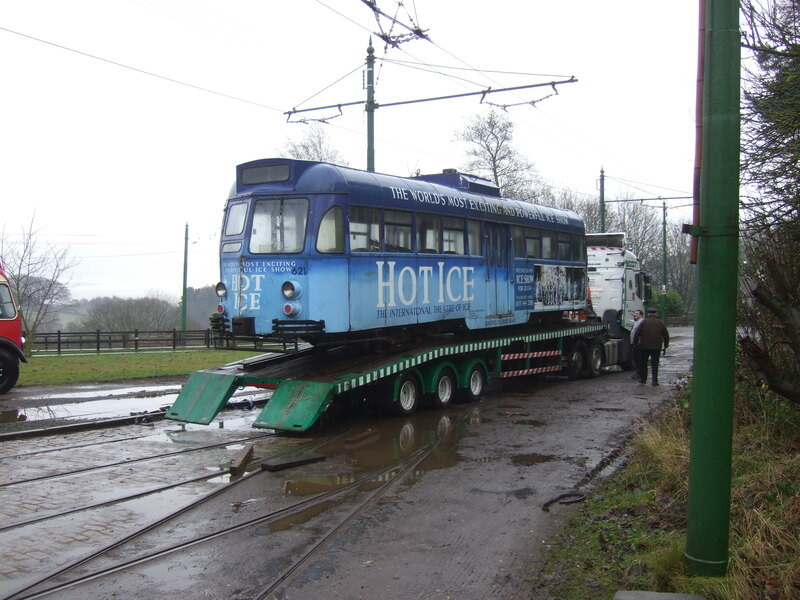 So 621 becomes the first tram to arrive at Beamish and depart, that was on the system’s tracks and complete, without ever working! Peter Barlow managed to capture some photographs of the occasion, which happened so quickly the staff on the ground had little time to do anything other than react! 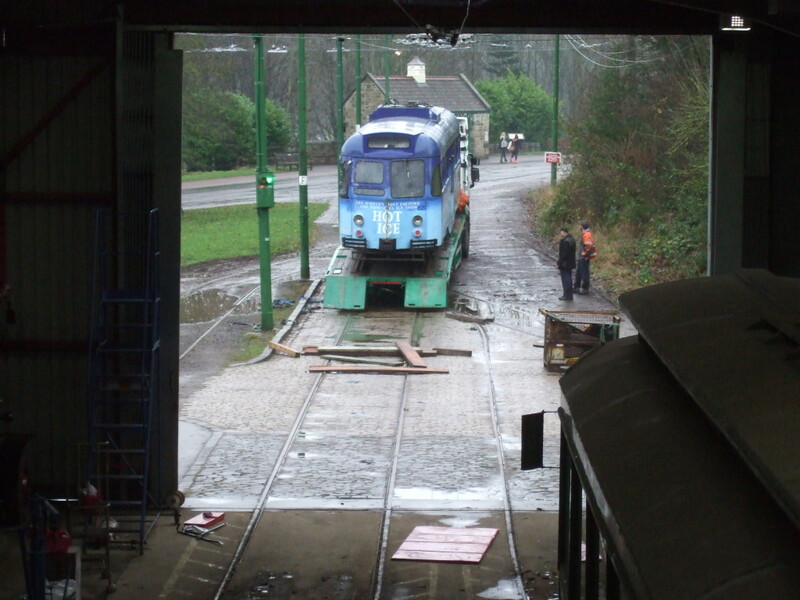 hi paul as you are the curator of transport at beamish i think you may be able to answer the following question. did the line at rowley ever run all the way round to the colliery and pit village via pockerley sometime in the museums 40+ year life? Dear Paul- Thank you very much for answering the question i have been pondering over for around three years now and it is finally answered i can now tell my best friend this answer. 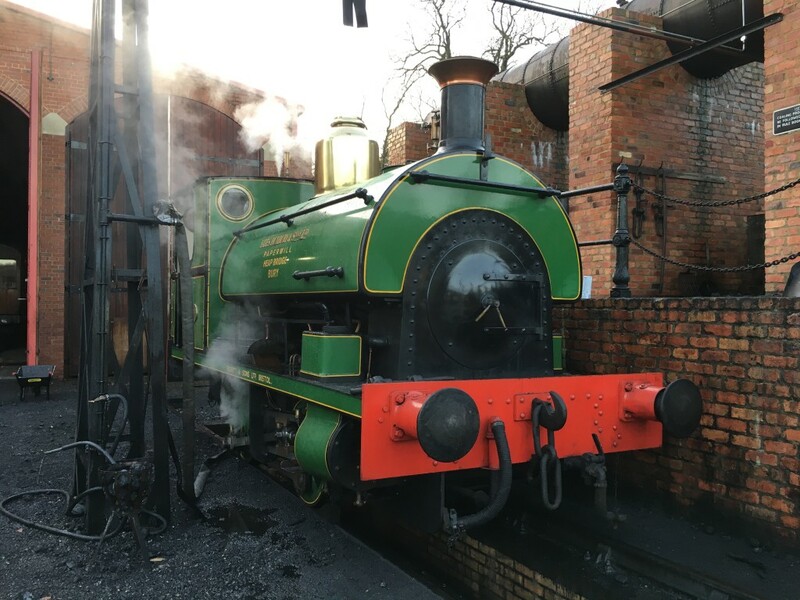 me and my friend are hunior volunteers at the tanfield railway but always love vivisting beamsih especially to see the narrow gauge and lewin!